TodayGardener and his crew will depart in their seed pod; the replacement crew is readyto carry on in their place. He iswearing his space suit undergarments. Not too stylish but functional. Hegave all of us an extra long smell. Hisnose twitched with the slightest tickle from the leaf hairs on little Zuc. He said that what will be is for thebest. It has been a wonderful journey;one chapter is closing, another is opening. He had tears in his eyes, not just a smalldrop at the corners but a pool that was making him blink. He reached up and turned out the light. In the frontier you should not be afraid ofthe dark. Don’s blog also appears at airspacemag.com. Excitement is in the air. Gardener said we will soon be returning to Earth. Our part of the mission is nearly complete and the new crew will take over for us. I am a bit worried about Broccoli, Sunflower, and me. If Gardener leaves, who will take care of us? And what about little Zuc? He is now a big sprout and ready to branch out on his own. Gardener talked about pressing us. I am not sure what that means; this does not sound good. Gardener and crew wore their spacesuits today. This is something Broccoli, Sunflower, little Zuc and I do not have. They spent time in the part of the spaceship that breaks off and falls back to Earth. It is very cramped inside. It must be their version of a seed pod. Gardener has this big book. He called it an atlas, a map of Earth. It is normally kept by the big window but now it is stuck to the wall right next to Broccoli, Sunflower, little Zuc, and I. He also transplanted us into new bags. This time the bags are very small, just enough to contain our root ball and a splash of water. He told us that he will soon be leaving and that we will return later in the belly of a Dragon. Thecrew is busy with their departure preparations. They are flying backand forth with bags of gear. Gardener tried on a special suit made outof tight fitting fabric. It keeps his roots and stalks from expandingwhen he returns to Earth’s gravity. He said things will feel real heavyfor awhile. When a frontier feels like home, it is no longer a frontier; it has become “civilization.” Those determined to wander must now pack their bags and move further into the cosmos. Space Station is very much on the frontier. It is only my temporary home, and now it is time for me to venture back to my real home. For my generation, Earth is, and will remain, home. The technology for space travel is still in the process of development, and is not sufficiently mature to open this frontier to humanity. We are not prepared to call space our home — yet. On Earth, the frontiers opened slowly. The technology of sailing was known and advanced for over a thousand years before the Earth was circumnavigated. Such bold acts require the technology, the will, and the audacity to explore. Sometimes you have one, but not the others. 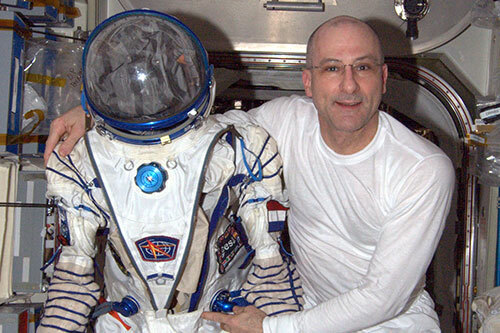 How does one spend your last day in space? you fly with vestigial wings. the garden salad of Earth. A looking glass of Wonderland. and a translucent reflection to see yourself. how does it change you. until mass extinction we do part. Perhaps one planet is not enough. into these seemingly gentle arms. both excited to see you but not understanding why you left. Oh how does one spend your last day in Space. I saw the waning crescent moon, a small sliver of whiterising above the Earth limb. It reminded me of a glowing fingernail clipping. Likea rainbow, but only of shades of blue, the atmosphere on edge filled the gapbetween Earth and space—electrifying diaphanous beauty. Venus was there, watching. Aldebaran in Taurus was an orangedot. The ghost of Full Moon Past, the complete lunar disk, was dimly lit by thebluish hue of earthshine. The time was 07:45on June 18t (GMT). One orbit later, at 09:17,I saw a sliver of a sliver. Work beckoned me for the next three orbits (about fourand a half hours) before I could observe another moonrise. At 13:56, there was only the smallestglint that we even had a Moon. The next orbit I was waiting at dawn, but saw nomoon. Initially I was baffled. Then it occurred to me that I had been witnessto the birth of a New Moon. Chapter 6: Having company for dinner. Have plenty of food, and serve your very best. Now is the time to break out those thermal-stabilized pouches of beef steak that you have been hoarding. Bring out any specialty item from your personal crew allotment (these items arrive on the periodic unmanned resupply spacecraft that visit us). Perhaps you can share a can of smoked anchovies, <?xml:namespace prefix = st1 ns = "urn:schemas-microsoft-com:office:smarttags" />New Mexico green chili, or a piece of Old Amsterdam cheese. Always serve something special that is not repeatedly eaten on the standard nine-day menu. Being generous now will reap more benefits than eating these delicacies in solitude. The choice of beverage is rather limited. You can serve the standard ones: coffee, tea, and artificially flavored, artificially colored, sugar-loaded, fruit-replica drinks. All, of course, are served in a bag, and you sip the fluid through a straw. The image of an insect sucking the juices from some lower insect may come to mind, but in space it is considered impolite to give voice to such imagery. You can provide a special treat if you have access to one of the research refrigerators. 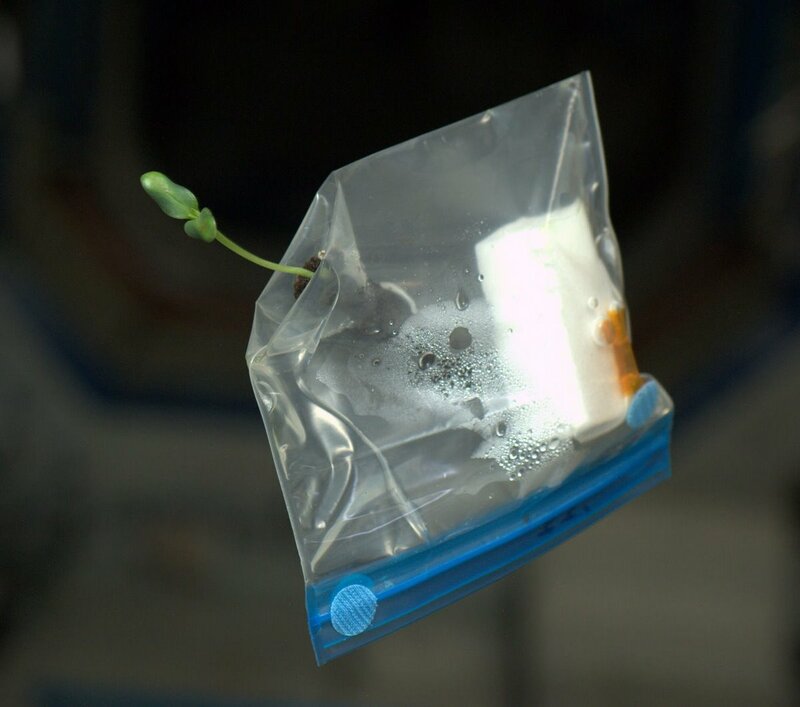 In space, all your food is either hot or at room temperature. When you live in an isothermal environment, it can be a real treat to serve your guests a bag of cold water. For special occasions—perhaps after a space walk or the docking of a resupply vehicle—you can serve your beverages in a “zero-g” cup. This is something you will have to make from scrap plastic sheeting (instructions are in Appendix C). These cups allow you to sip beverages from an open container, like we do on Earth. Zero-g cups, unlike bags with straws, are better for social rituals like toasting, and will bring a smile to the faces of your guests. It is important to dress up your galley. Have full packets of wet and dry wipes within easy reach on the galley table. Take any partial packets and save them for another time. Empty the trash bins. A full trash bin is problematic; a handful of small things typically float out when new items are added. This rudely interrupts conversation while everyone scatters to collect the floating debris. It is good to have two trash bins; the standard-sized one for largish items, and an old wet wipe container for small ones. This separation of smaller trash—cutoff pouch corners, food crumbs, and wrappers—helps prevents their release when the lid is opened. Be sure to label this wet wipe container “trash”. Newly arrived crew may not be aware of this trash protocol, so it is best to politely demonstrate by example. They will learn quickly enough. Clean the food scissors. Scissors are needed to open food pouches, as tearing them along the built-in perforations usually results in liberating hot droplets of fatty ooze and other asteroid-like particles. That’s why, if the scissors aren’t kept clean, they become caked in solidified gravy to the point where they become glued shut (not to mention being slightly repulsive). Such a state is considered rude, so clean your scissors before the guests arrive. Always have a loaner spoon available. In weightlessness, it is easy to lose things. It is not unusual in a group of six for someone’s spoon to have floated off. Having a clean loaner spoon allows for the evening to continue and the conversation to flow. It is rude to give your guest a loaner spoon caked in crud from the last time it was used. The lost spoon is usually found by morning, stuck to a ventilator inlet screen, and your guest will appreciate it being returned. Always put out new tape. The galley table has multiple spots of Velcro to park packets of food. However, not all packets and pouches have mating spots of Velcro, which means they can’t be set down on the table. Several strips of duct tape, carefully folded so the adhesive side is out (see Appendix D for instructions), allows such containers to be parked on the table. Tape left over from the previous week, while perfectly functional, collects errant crumbs, hairs, lint, and other unsightly things. Displaying dirty tape is exceedingly rude to your guests; always put out new, clean tape. In space, catching food in your mouth is considered polite. Opening wide and making a clean catch will most always bring cheers from your guests. In one impressive gulp, you can leave them with the image of some sea creature inhaling another. Catching food in your mouth, like belching at the table (considered impolite in most cultures, but a compliment to the chef in others) is rude on Earth but de rigueur in space. By following these simple rules, you will ensure a delightful evening with your guests. And remember, on the space frontier, the etiquette book is still being written. I encourage you to invent new ways of conducting everyday life, including entertaining. It is one of the reasons we find ourselves here in the first place. To maintain our muscles, bones, and cardiovascular systems, we exercise about two and a half hours each day. These exercises are divided between resistance (“weightlifting” in weightlessness), cycling, and treadmill routines. 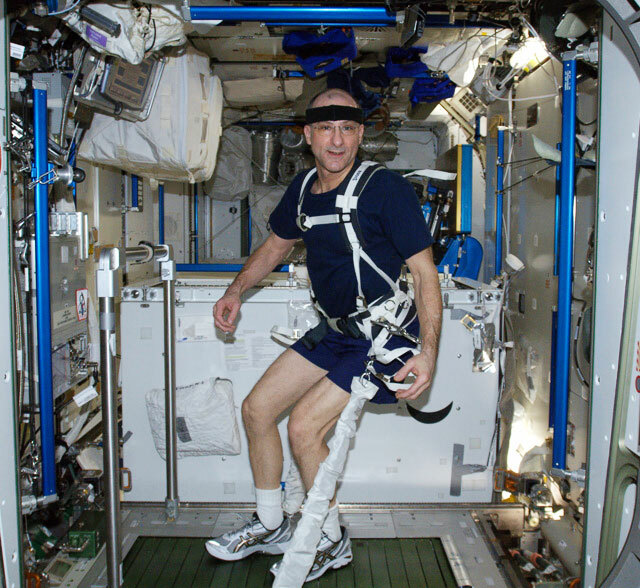 To run on the treadmill in zero-g requires that your feet stay in contact with the belt, so we wear a backpack harness with adjustable spring-loaded straps. The loading is important. To reap the full health benefit, the harness is loaded to near (Earth) body weight, which for me is 80 kilograms (176 pounds). It sounds easy, but the technical details of creating a harness add significant complexity to the process of exercise in space. 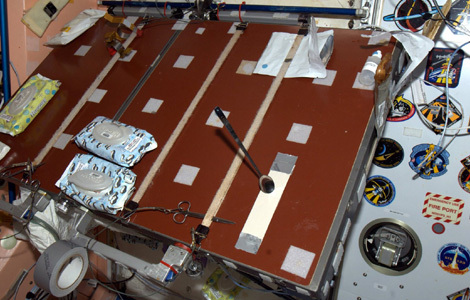 This is another example in spaceflight hardware design where the answers are not in the back of the book. On Earth, a backpack harness is designed to distribute the load between the shoulders and hips, with the balance between the two usually adjustable. And no one really wants to carry a backpack weighing more than about 80 pounds. I have a minimalist philosophy when it comes to backpacking, and seldom carry more than about 45 pounds. Now enter the space requirement to carry a load close to your body weight. No backpack I am aware of is designed to do this. And how does one best distribute the load between hips and shoulders? Our bodies are not meant to carry our own weight on our shoulders, so the load has to be distributed more widely. But since the spine has to be loaded, too, the entire weight cannot be placed on the hips. Your hips also have to be free to swing with your stride. When backpacking with heavy loads on Earth, we seldom work near maximum cardiovascular levels. Backpacking is slow and easy; we take the time to smell the roses along the wilderness trail. In space, we run on a treadmill at 95 percent of our maximum heart rate. At this level of exertion, your chest is expanding and contracting to its full extent while your heart feels like it is going to jump out of your chest. Normal backpacks are not designed to accommodate the required chest expansion at maximum exertion. These seemingly small engineering details complicate the backpack design enough that we can’t just use off-the-shelf equipment. The treadmill harness we use on Space Station was engineered at NASA Glenn Research Center, and so is called the Glenn harness. The engineering was tested on Earth by taking a treadmill and mounting it vertically on a wall. Then the test subject (I was one of them) is suspended horizontally above the floor with a series of bungees, like in a magician’s floating lady act. Now the harness can be tested at near-body-weight loads in normal gravity. It’s often necessary to go to such lengths to design and test spaceflight hardware. 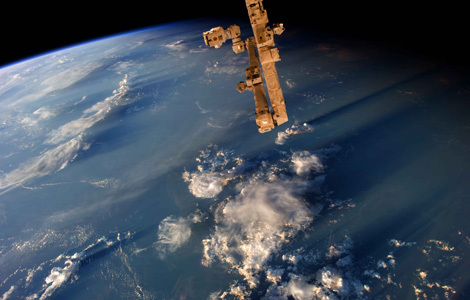 In that way, a large visionary technology program like Space Station drives numerous small advances that never would have been contemplated (or funded) without the greater driving force. Great news; I have a baby brother sprout! Gardener just showed me baby Zuc. 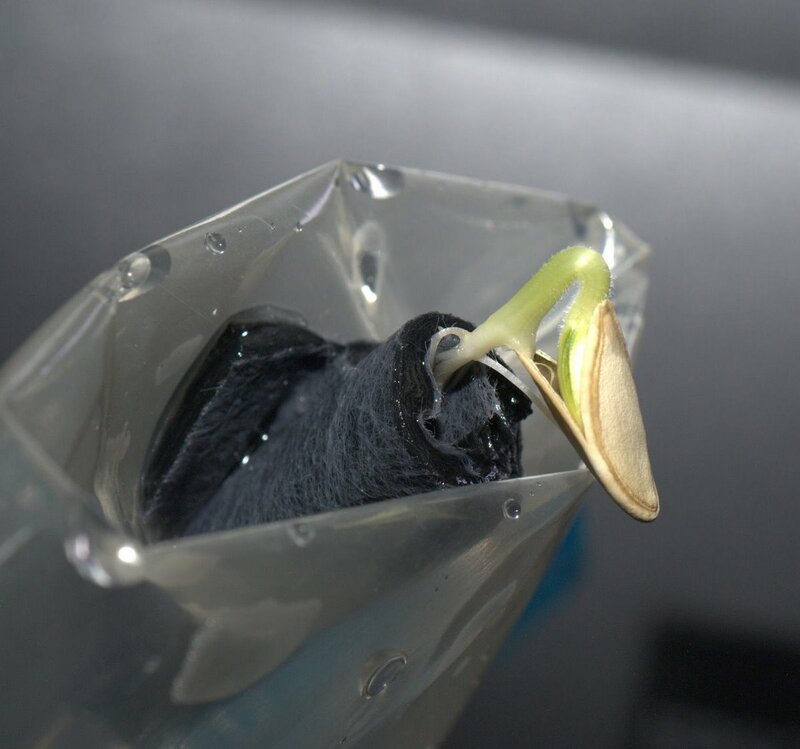 He is strong and healthy and ready to move from the sprouter into his own aeroponic bag. While Broccoli and Sunflower are great companions, there is nothing quite like having a zucchini to zucchini conversation. Baby Zuc has developed his hull spreader! 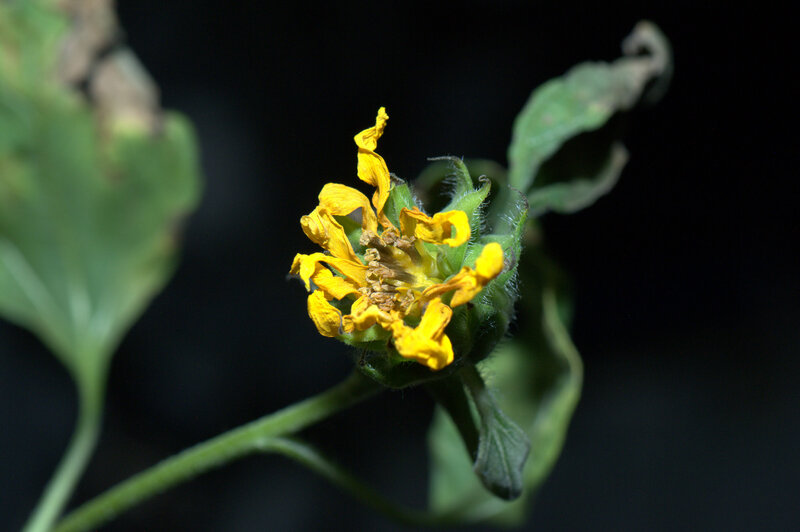 We have tough seed pods and sometimes they do not split in half like they should thus trapping the cotyledons inside and causing the sprout to die. 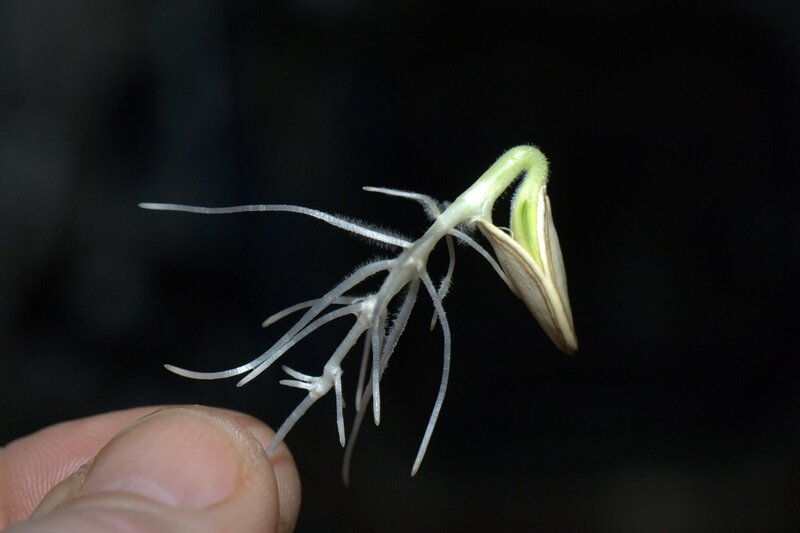 We have a special bump on our stem that catches on our seed pod and spreads the hulls open so the new leaves can emerge undamaged. Previous ideas on this required gravity to direct our stem to grow this bump but we seem to be able to do this without a gravitational signal. On the frontier, even a baby sprout can teach us something new. Gardener has been busy. We have a new Sunflower sprout. 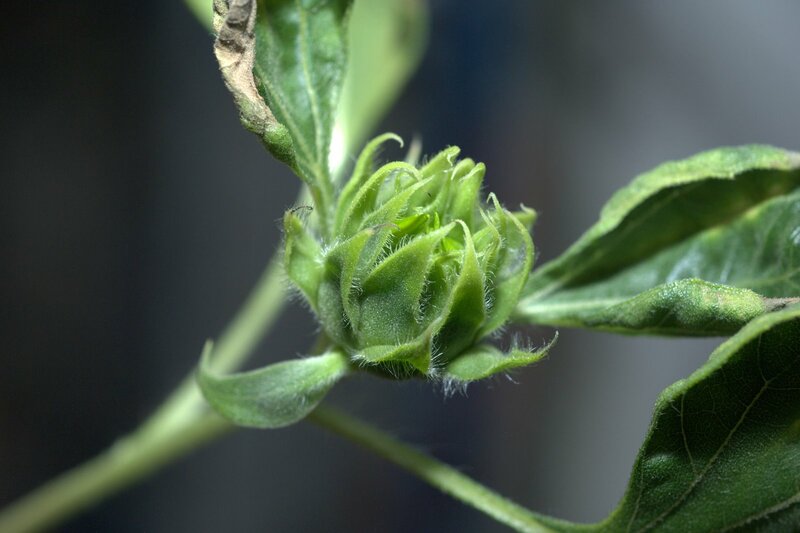 Sunflower is elated and can hardly wait to show Sprout his blossom. A great sadness has taken us all; Sunflower sprout died. He became weak and his cotyledons could not emerge from the hull. Gardener performed surgery and carefully removed the hull but it was too late. We returned sprout to the compost from whence he came. I guess we are all made out of recyclable materials. One of our machines that removes carbon dioxide from the air failed last night and the carbon dioxide is now at nearly half a percent. The animal part of our crew breathes in oxygen and gives off carbon dioxide. The current level is enough to give animals stuffy noses and headaches but for us plants, this is like being in a sweet greenhouse. 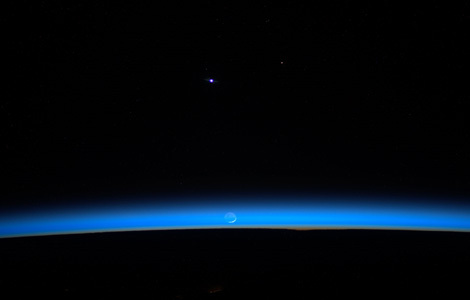 On Earth the atmosphere is about 0.04 percent. Broccoli, Sunflower and I are doing all we can to breath in the carbon dioxide and exhale oxygen. Even the algae are doing their part. I would say these stowaways have now become part of the crew. I find it interesting how plants and animals complement each other. Meanwhile, Gardener is working on fixing the machine. He has wires and tweezers and a big head lamp. His head remained buried inside the machine for quite some time before he came out. He said it was a bad temperature sensor that shut down the scrubber. Now it is working and the level of carbon dioxide is beginning to drop. I told Broccoli and Sunflower they should enjoy the sweetness while they can. If my day on Space Station were a pie, it would be sliced into many wedge-shaped slivers. 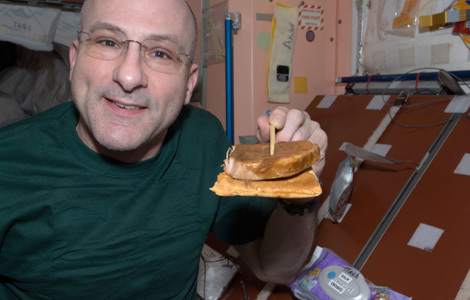 It begins with a small slice for waking up, hygiene, and a bag of coffee (even in space, it is comforting to have a morning routine.) This is followed by a slice for reviewing and organizing the tasks that will make up my work day. I might make a list of tools so that when I float to the tool box, I can gather everything I need in one trip. Then we have a morning conference with mission control. Our work day then begins, consuming a 12-hour slice of time pie. At the end of the workday, we have another conference with mission control, followed by about an hour of work tying up loose ends. Then there is a slice for crew dinner. It is not unusual to work the whole day without seeing your fellow crewmembers at all (Space Station is a big place), and it is important to gather over a meal to exchange stories. This fulfills a very human social requirement, probably done since the discovery of fire, when the tribe would gather around the burning embers after the hunt (we now gather around our electric food warmer). This leaves about a nine-hour slice of off-duty time until the whole routine begins anew. Note well that this is not “free time” but “off duty time”—a significant distinction when living on a ship, be it on the ocean or in space. Sleep comes in your off-duty time, and depending on how much you need, determines the size of the leftover slice of personal pie. All of us have families and friends, and if we want to gracefully return to our places on Earth at some point in the future, they require sharing a significant piece of your personal pie. 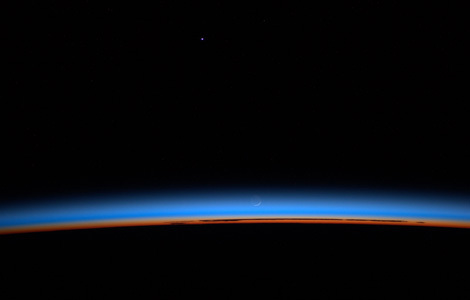 At the end of the day, I am lucky to have an hour slice of truly personal time, often spent in the cupola gazing at the cosmos (writing these essays comes from this slice and competes with window time, which accounts for some of the delays between postings). By far the largest slice of time pie is the 13-hour on-duty workday. Of this wedge, about 6½ hours is working primary mission tasks. These include scientific and engineering research, operational tasks such as flying the robotic arm and spacewalks, and spacecraft system maintenance/repair. The balance of the workday is spent on the necessary upkeep and overhead to enable the 6½ hours of time on task. This includes our 2½ hours of physical training (maintains crew health), transfer and stowage of new supplies from visiting —Progress, European ATV, Japanese HVT and the commercial vehicles, Dragon and (soon) Cygnus)—inventory and audits of existing supplies, managing our trash, conferences with mission control (some days we will spend 15% of our time talking to them), lunch, toilet, unplanned repairs (e.g. network, laptops, toilet, drinking water problems, etc. ), and simply searching for needed items (often times not found in their proper place). While achieving only 6½ hours work out of every 24 hours on mission tasks may seem appalling, it is commensurate with Earthly efforts when working in harsh frontier environments. When I was deployed with the Antarctic Search for Meteorites (ANSMET) team on a remote glacier field about 200 kilometers from the South Pole, we toiled for about 14 hours a day to enable 6 hours of our mission’s work; hunting for meteorites. A good slice of this Antarctic time pie (obviously a frozen dessert) was taken for such supporting tasks as snowmobile maintenance, gasoline stove fuel management, shoveling snow to keep our Scott tents from becoming buried, latrine maintenance, cooking and food management, melting ice for drinking water (a big time sink), drying sweaty clothing, and simply trying to stay warm. Considering the harshness of the Antarctic interior, it was fortunate we could spend six hours a day on the mission task. The same sorts of numbers are seen in deep ocean efforts, particularly if the divers are living under high-pressure, saturated gas conditions (pressurized living quarters that are at the same pressure as the equivalent ocean work depth). When humans venture into a harsh wilderness, the fraction of time on task shrinks while the effort to simply be there grows. In any of these settings, you are lucky to log six hours of mission tasking and six hours of sleep. The rest of the time is spent simply trying to stay alive. On weekends we have off-duty time, but never a free weekend. On Saturdays, we are scheduled for six hours of on-duty time, mostly housekeeping duties where we vacuum filters and swab the decks. On Sundays, our lightest workload, we have about 3½ hours of tasking (this includes our 2½ hours of exercise). To date, we have had four weekends in a row where something came up that trumped our off-duty time. 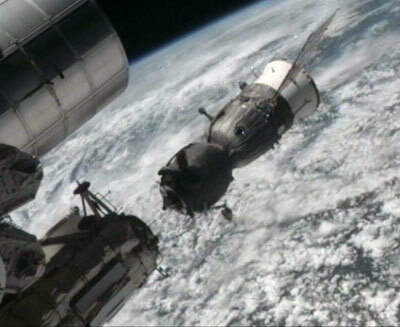 One was for an electrical failure in the ATV cargo ship that if uncorrected, would have required an emergency undocking with possible loss of all our new supplies. 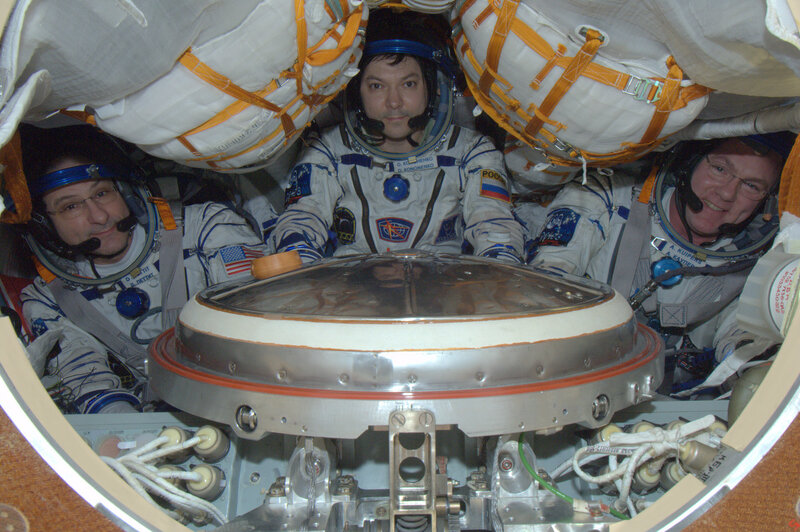 One was for a possible near collision with a piece of space junk, where we had to close all the hatches to make station “watertight” and then hide in our Soyuz spacecraft. Another was to fix the toilet after it failed, and one was for our regenerative water processor (the coffee machine). During this period we worked over 30 days without a break. When you go to the frontier, you are there to do something productive, not to sip tea and eat bonbons. Organization is the key to using personal time effectively. I have a 5-, 15-, and 30-minute plan in my pocket, so when there is a pause in the mission work, I know exactly how to use the moment productively. 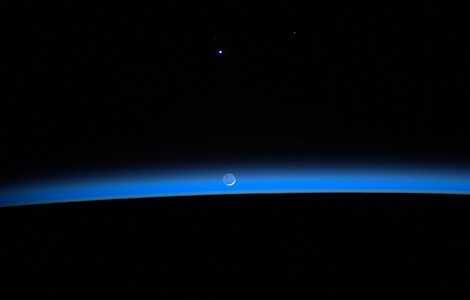 Then, when you truly have a significant span of off-duty time, perhaps on a Saturday night, there is nothing more awe inspiring than floating for an orbit in the cupola and observing the Earth. My personal slice of time pie may be only a sliver, but oh, how sweet it is! If Matisse and Van Gogh worked together to make a portrait of the Expedition 31 crew, this is what it might look like: Left to right in the first image are Joe Acaba, Gennady Padalka, Oleg Kononenko, Sergey Revin, and André Kuipers (I was running the camera). 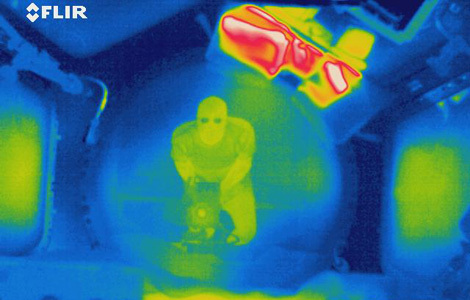 The thermal camera I used operates in the far infrared, with wavelengths around 10 microns, which is close to body temperature. I was using it to image the window heater in the Cupola, and played around with it a bit before putting it away. 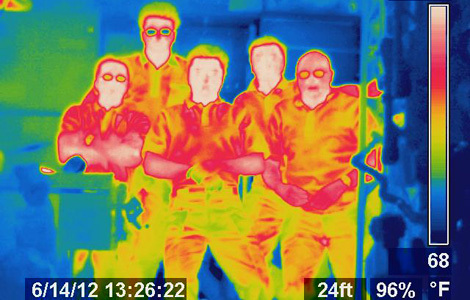 Note that regular glass is not transparent in thermal infared, so glasses look like mirrors (and so do our windows).